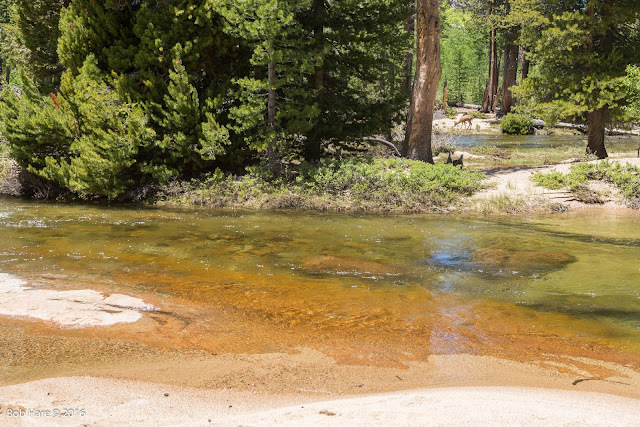 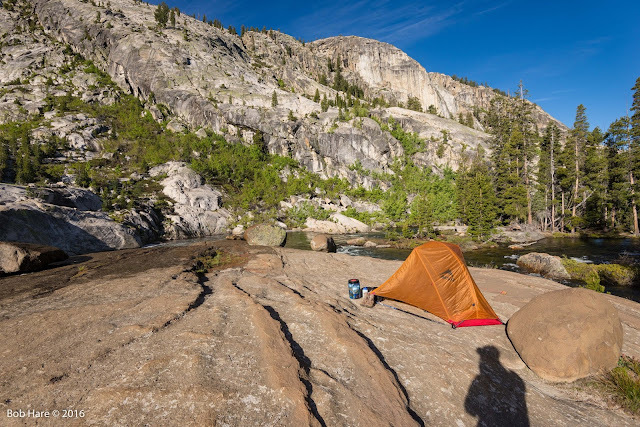 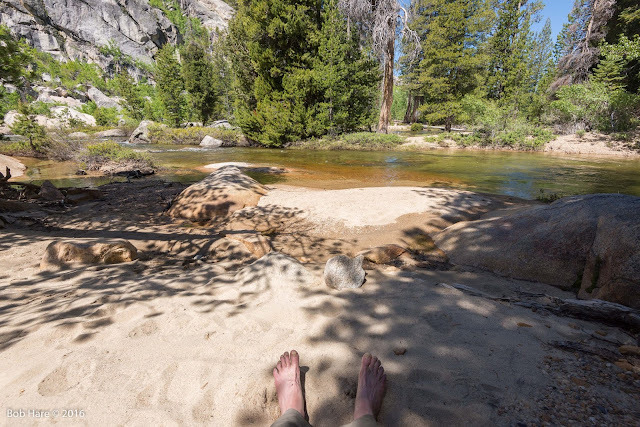 I solo hiked for three days in Yosemite's Grand Canyon of the Tuolumne and gave myself the blessed gift of a "layover" day of rest and recreation at John Muir's Hurrah Cascade. I named this camp "Ouzel Camp" in honor of Muir's favorite bird, the elusive American Dipper. 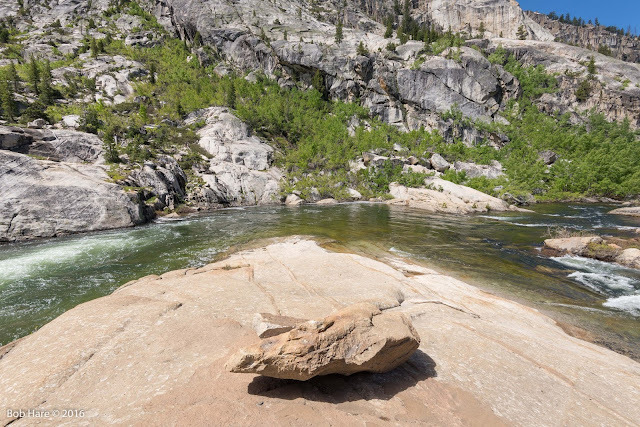 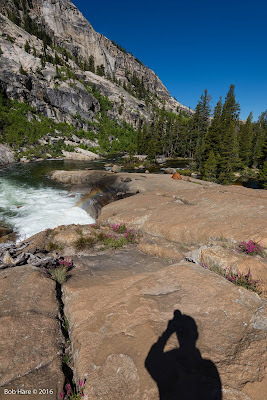 I no sooner scouted out this glacially-polished granite outcrop with a view and roar of Muir's Hurrah Cascade, then an ouzel flew right over me on its way to feed in the singing waters. 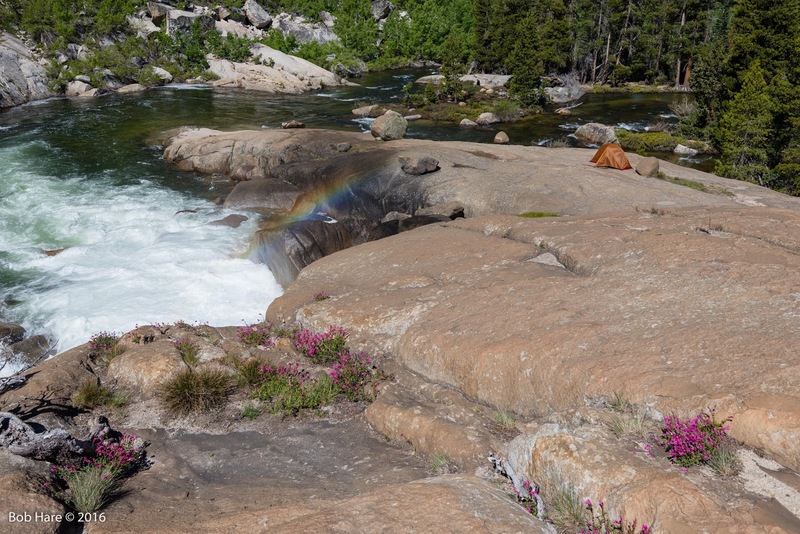 In the three days I camped here I saw the busy pair of ouzels flying back and forth between foraging under the river's waters for aquatic insects and their nest right under the cascade. 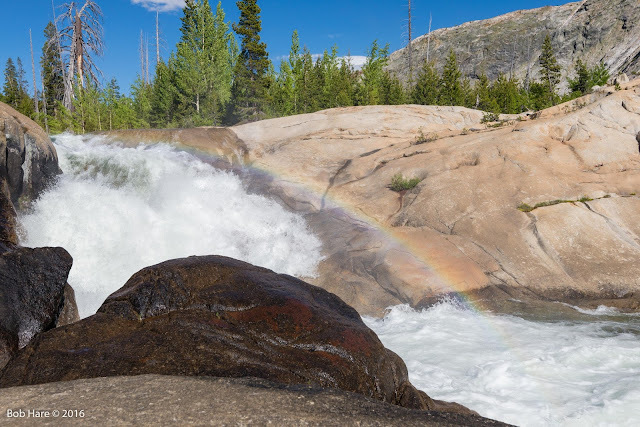 I'll be returning here each June to watch the ouzels, sleep with the "roar and 'ah"" of the cascade, enjoy the rainbows in the mists, study the ways of the deer, swim in the shallows, and put my bare feet in the warm granite sand.